I write to you on behalf of the Asian NGO Network on National Human Rights Institutions (ANNI) as the International Coordinating Committee Sub-Committee on Accreditation (ICC-SCA) concludes its current session of the accreditation review (27-31 October 2014). Together with its members and partners, ANNI submitted stakeholder reports to the ICC-SCA on 30 June 2014 prior to the review (see links to stakeholder submissions below). 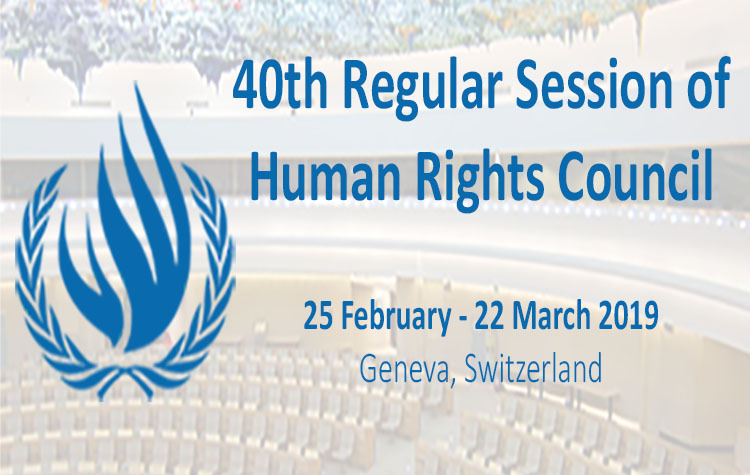 As the principal domestic human rights mechanism, National Human Rights Institutions (NHRIs) from the region – South Korea, Nepal, Mongolia, Thailand and Afghanistan – will be assessed on whether their work and functioning are in institutional compliance with the Principles Relating to the Status of National Institutions (Paris Principles). In that regard, ANNI calls to attention several key and recurring trends that negate their full compliance with the Paris Principles. Worryingly, the lack of public participation in the selection and appointment process of its members is a salient feature observed across the Asian NHRIs under review. To date, despite repeated recommendations by the ICC-SCA, none of the aforementioned NHRIs have formalized (in legislation, regulations or binding administrative guidelines) a selection process that involves the participation of civil society as well as ensures the independence and public legitimacy of the institution. It is ironic that the NHRIs mandated to promote and protect human rights in the country exclude a significant segment of its constituency. While some NHRIs have made piecemeal concessions to include nominal involvement from political parties and the judiciary, it is by no means a safeguard to ensure the integrity of the selection process. The ICC-SCA has repeatedly emphasized that selection and appointment of NHRI members must be robust, transparent and inclusive or risk losing credibility. We wish to note the important role that the ICC-SCA’s accreditation process has played in ensuring improvements of some NHRIs’ selection process in recent years, and therefore call on the ICC-SCA to maintain its rigour in its current and future accreditation review processes. ANNI also stresses that compliance with the Paris Principles must be assessed through practices and activities of NHRIs, particularly in the context of current, critical and systematic human rights violations and abuses in the country. In this regard, we welcome the inclusion of an assessment of NHRIs’ Paris Principles compliance in practice in the accreditation review process, as reflected in the ICC-SCA’s General Observations (as updated in May 2013) and as indicated in your speech at the recent 19th Annual Meeting of the Asia Pacific Forum (APF 19) in New Delhi, India. A robust assessment of NHRIs’ Paris Principles in practice is vital as many NHRIs in Asia have been slow to respond to urgent situations of human rights violations, especially those relating to shrinking civil society space as well as attacks or reprisals against human rights defenders (HRDs). We therefore call on the ICC-SCA to recommend to NHRIs under review to ensure timely interventions, quality of responses and a systematic follow-up plan to collectively address larger systemic issues in the country and that can lead to institutional change. Finally, ANNI highlights the poor or non-implementation of ICC-SCA recommendations of NHRIs from previous accreditation reviews. In the determination of accreditation status, ANNI urges the ICC-SCA to also consider what efforts, if any, have been made by the Asian NHRIs under review to respond to and address concerns raised by the ICC-SCA. Where the implementation of recommendations may be difficult, especially in relation to legislative change, NHRIs must still actively advocate for changes to ensure Paris Principles compliance both in law and practice. In this regard, we acknowledge the consideration of NHRIs’ implementation of the ICC-SCA’s previous recommendations during the accreditation review process. We are also encouraged by the ICC-SCA’s stated intention of attaching continued importance to this aspect in the accreditation review process, as indicated again in your speech at the APF 19 in New Delhi, India. We further call on the ICC-SCA to establish a mechanism to track and follow-up on NHRIs’ implementation of the ICC-SCA’s recommendations. Thank you very much for your kind consideration. We remain committed to continue our engagement with the ICC in its work in promoting and protecting human rights in Asia. The Asian NGOs Network on National Human Rights Institutions (ANNI) was established in December 2006. It is a network of Asian NGOs and human rights defenders working on issues relating to National Human Rights Institutions (NHRIs). ANNI is composed of members that are national organizations from all over Asia. ANNI currently has 30 member organizations from 17 countries or territories. The work of the ANNI members focus on strengthening the work and functioning of Asian NHRIs to better promote and protect human rights as well as to advocate for the improved compliance of Asian NHRIs with international standards, including the Paris Principles and General Observations of the Sub-Committee on Accreditation (SCA) of the International Coordinating Committee (ICC). The Asian Forum for Human Rights and Development (FORUM-ASIA) is the Secretariat of ANNI. FORUM-ASIA has Consultative Status with the ECOSOC (UN Economic and Social Council) since 2004. Mongolia: forced evictions, right to livelihood and human rights violations relating to the extractive industry (mining), right to freedom of expression (defamation laws).